Every homeowner or a business owner will be interested in a great and comfortable environment. This explains why the air conditioners have become more popular in the US. Recent research reveals the popularity of air conditioners has increased by 35% in the past five years. Air conditioners are considered to be very important equipment especially when you are interested in making your home cool. However, there are people who tend to shy away from buying the air conditioners since they assume they are expensive to buy. It is possible for one to save lots of money provided they know what they are looking for. There are some five important things you need to consider whenever you are buying an air conditioner unit. Just like many other items, price is a very important factor. Air conditioners have varying prices. For example, a small window mounted air conditioner is capable of costing a few hundred dollars. A larger and much sophisticated system might cost you hundreds of thousands of dollars. As with the upfront price, it is advisable for one to consider the efficiency with which the air conditioner runs. For instance, a more expensive air conditioner unit might over some period of time justify itself on the basis that it is capable of performing much better and uses lesser energy. We have already indicated that the larger air conditioners are more efficient compared to the smaller units. However, it is also important that we consider the amount of space we need to cool. It is more wasteful to get an air conditioner Houston that is more powerful than what you need. The air conditioner power is usually measured in British Thermal Units. For instance you will need about 20 BTUs for every square foot of the space you need to have cooled. This will help provide you with a rough estimate on the amount of power you want cooled. Housing the evaporator and condenser coils in separate units, on the outside and inside of the building. This can help improve the efficiency and this explains why the larger systems are usually designed as they are. However, there is a trade off here! In case the two units are separated using long length tubing, this will definitely impact the system performance as a whole. The more the distance the coolant will have to travel, the more the amount of energy that will be required to send it round the loop. Installation distance will depend on the physical make up of the building. In order to meet their safety and healthy obligations, it is important that employers provide their employees with a great, conducive and comfortable environment. This will mean the control of temperature in form of fans, air conditioning services and open windows. However, use of air conditioners is considered to be the most efficient way most people can help provide a comfortable environment especially in places where people are crammed. There are certain air conditioners which are known to be noisier than others. This is mainly because they are lesser efficient than others and their fans tend to work harder so that it can produce the required results. However, you will always begin to hear the sound of motors or loose screws whenever the unit starts to get older. 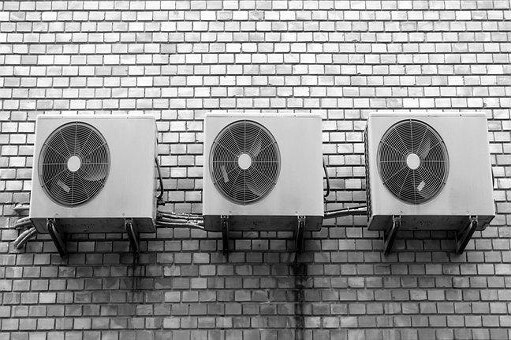 Most of the modern air conditioners are known to run very smoothly and quietly hence, one will only be in a position to hear the fan and not at all times. Whenever you are comparing the air conditioner units, always look for the ‘dbA’ rating as you still check on the smaller features. Majority of the air conditioners are known to have 50dbA rating. However, in case you will be installing your air conditioner in a noise sensitive place, then it is recommended that you shop for a quieter unit.